An Italian Mid Century Floor Lamp circa 1960. 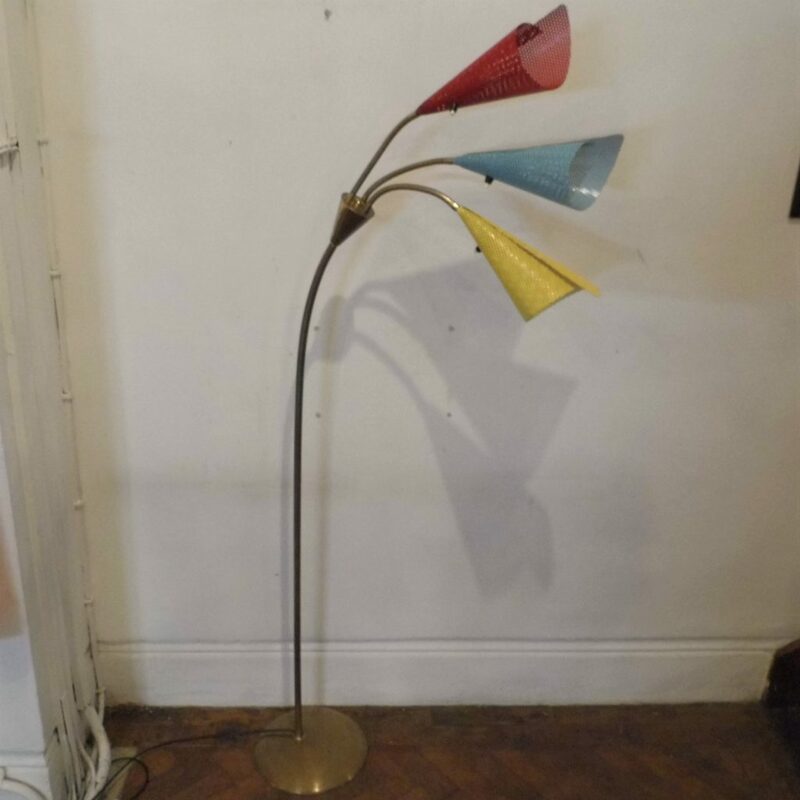 A very chic three branched floor standing lamp with brass base and multi coloured pierced metal shades. This piece dates from around 1960 and I believe it comes from Italy or France. This piece would make a great reading light next to a Mid Century sofa or armchair. The articulated branches can be adjusted to any angle. 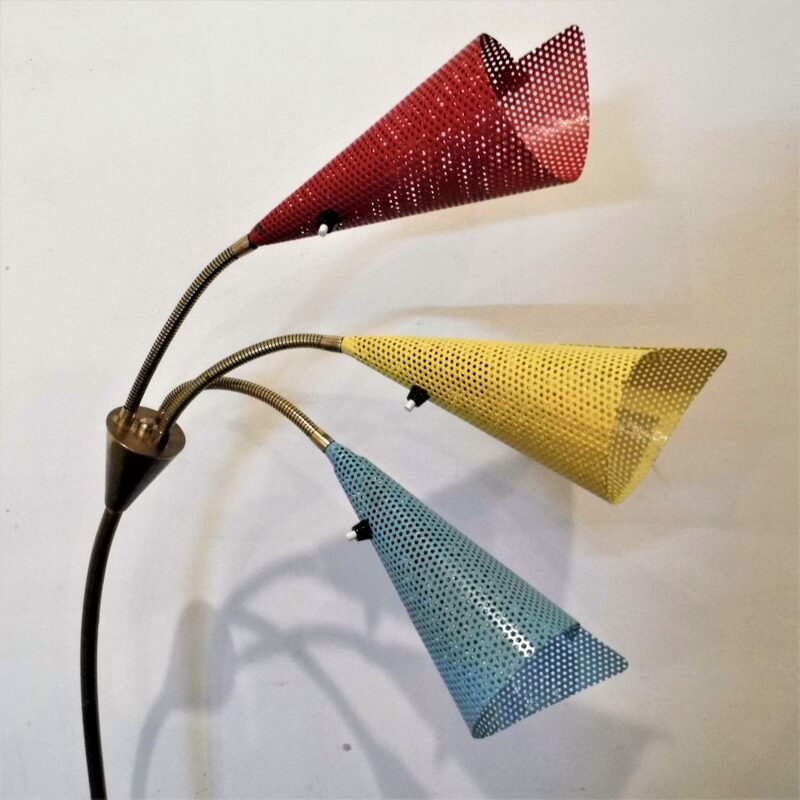 It is very good vintage condition and has been fully rewired with 3 core earthed cable and each lamp shade has an individual switch and takes 60 watt or equivalent bulbs.